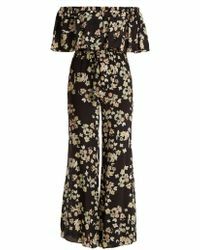 Bring a bohemian-inspired feel to your closet courtesy of this striking edit of Athena Procopiou jumpsuits. 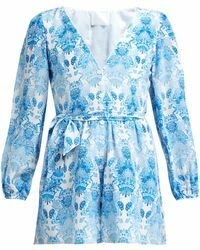 Designed in feminine silhouettes, you'll find luxe fabrics such as silk and a palette that mixes monochrome shades with bold brights. 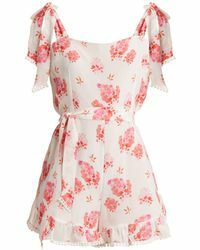 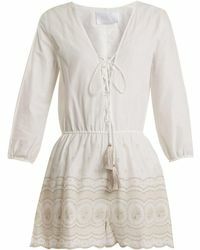 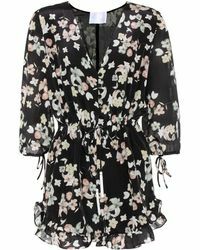 Keep an eye out for eye-catching rompers in delicate patterns, ruffled trims and drawstring waists with tassel details. 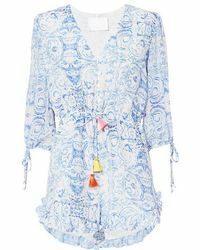 Add wedges or strappy sandals to these Athena Procopiou jumpsuits for a romantic warm-weather look.